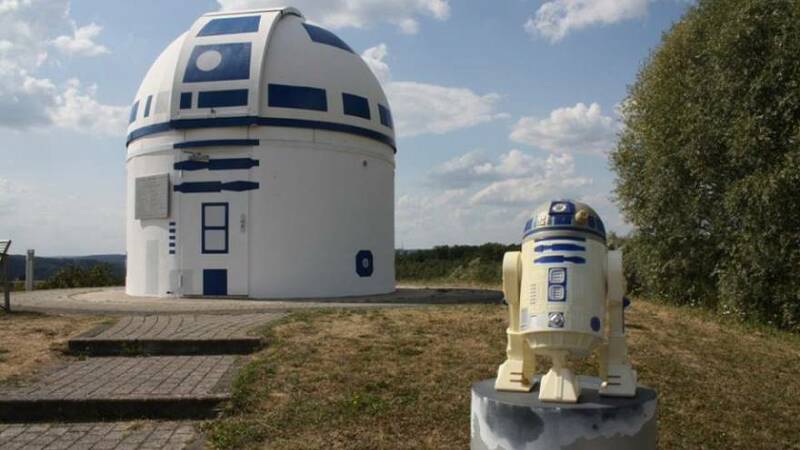 A German science-fiction loving professor has painted an observatory to make it look like a giant version of Star Wars robot R2-D2. Hubert Zitt, who teaches at the Zweibrücken University of Applied Sciences in eastern Germany, finished painting the Zweibrück Observatory of the Natural Science Association in September 2018. He was helped, not by Jedis, but by some of his students as well as his father-in-law, Horst Helle, and the master painter Klaus Ruffing. Zitt has been teaching computer science at the University of Applied Sciences in Zweibrücken since 1999. In his spare time, he also writes science fiction and gives lectures about Star Trek, both in the academic field and at science-fiction conventions (his first one was the University's 1996 Christmas lecture... about Star Trek, of course.) In 2008, he taught the course "Physics of Star Trek" as a visiting professor at the University of the Incarnate Word, San Antonio, Texas.